If you want to give your dog a helping hand with digestion then this is the food for you. This Grain Free recipe uses freshly prepared Haddock which is one of the easiest proteins to digest. Parsley also helps with this, along with providing a valuable source of antioxidants. Dogs love high quality fresh Haddock. Helps maintain a long healthy life. 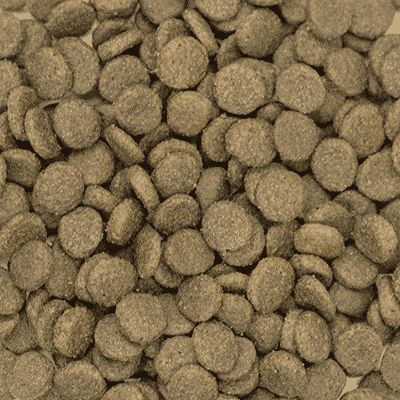 Grain Free and particularly good for dogs with digestion issues or sensitivities. Added FOS & MOS Prebiotics aid gut health. Fresh Haddock is an extremely digestible protein source that works very well with grain free carbs. 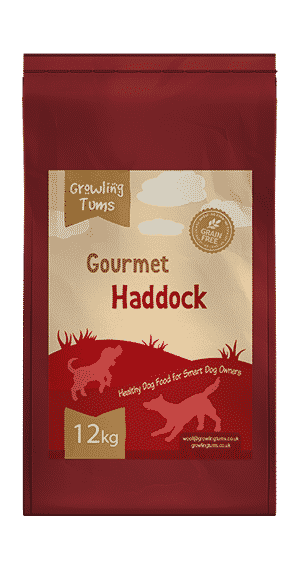 The lack of grain, and the use of Haddock make Gourmet Haddock & Parsley one the best foods available for dogs needing help with digestion. It is high in Omega 3 – an excellent source of EPA & DHA to support cognitive and visual development. We don’t just give them a healthy diet, we also focus on taste. For our dogs to truly get the benefit of our foods they first need to want to eat it. We’ve concentrated on getting an extraordinary amount of taste in to this food. Optimum levels of Omega 3 & 6 with added zinc which promotes healthier skin and shinier coat. We’ve packed this food with all the nutrients needed to help your dog flourish. Who like cleaning up after their dog? I don’t. As we use highly digestible quality ingredients the food is easily digested. Ingredients: Fish 50% (Including 26% Freshly Prepared Haddock, 17.5% Dried Salmon, 4.5% Trout Oil & 2% Salmon Stock), Sweet Potato (24%), Peas, Potato, Beet Pulp, Olive Oil, Linseed, Sunflower Oil, Minerals, Vitamins, Parsley (equivalent to 25g per Kg of product), Vegetable Stock, FOS (92 mg/kg), MOS (23 mg/kg). Analysis: Crude Protein 26%, Crude Oils and Fats 14 %, Crude Fibres 4%, Crude Ash 8%.